Apple has announced the iPhone 5c, a colorful variation of the iPhone 5 that features plastic enclosures rather than the aluminum casing that was prominent on last years models. Internally, the 5c is the same as the 5, though it ships with iOS 7 preinstalled, with a background wallpaper matched to the color of the iPhone model. Colors are white, a salmon pink, yellow, baby blue, and bright green. 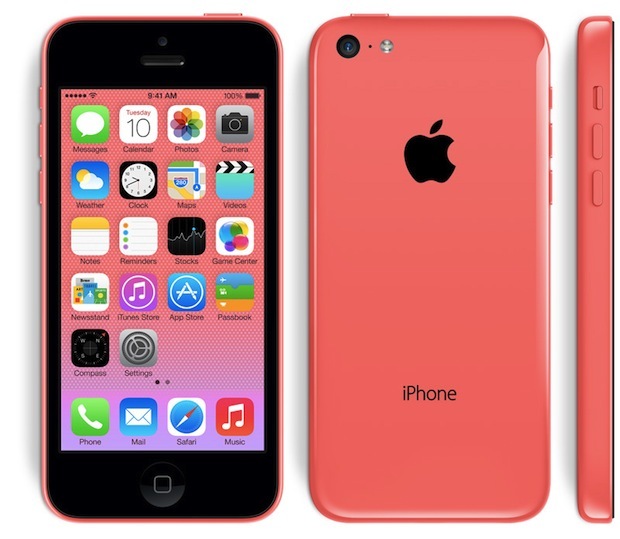 The iPhone 5c replaces the iPhone 5 in the product line up and is priced accordingly, slightly cheaper than the new upper-end model iPhone 5s. 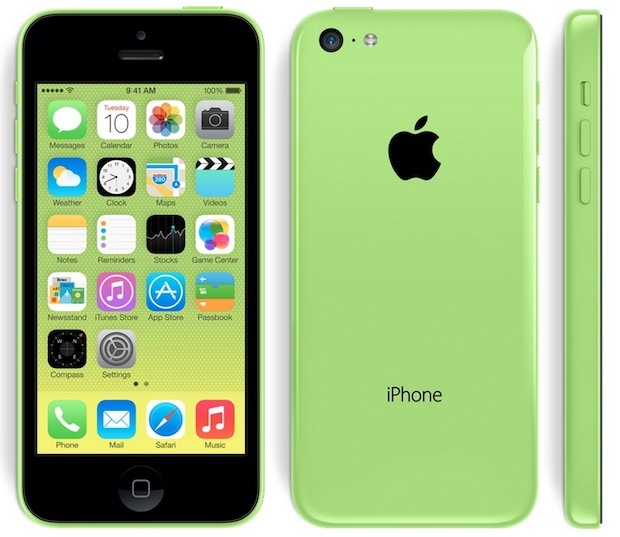 iPhone 5c can be be pre-ordered on September 13, with general availability on September 20, two days after the wider release of iOS 7 on the 18th. The array of colors available are shown below. 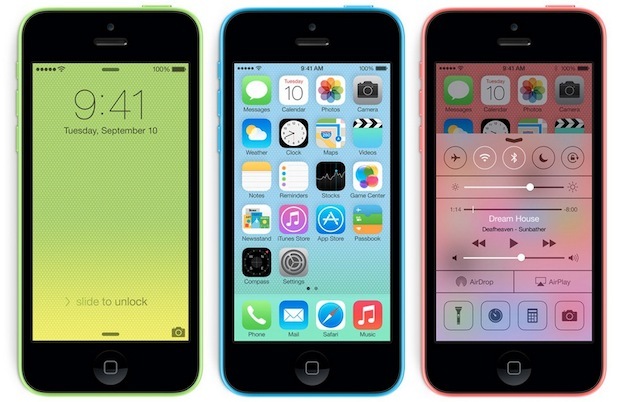 Note that each 5c model retains the black face of the device, regardless of the color of the iPhone itself.